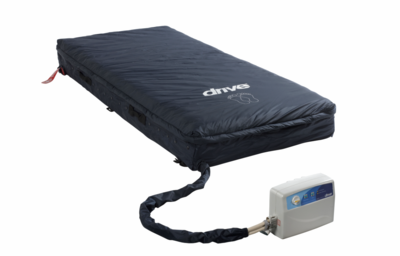 The Drive / Devilbiss Alternating pressure mattress system provides dual combination therapy using alternating pressure and low air loss to optimize pressure redistribution and manage skin maceration.The Med-Aire Essential Series is Designed to prevent, treat and manage pressure ulcers in the home, long term care, or acute care setting. 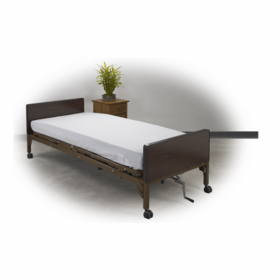 This Drive Alternating pressure mattress fits over a standard hospital bed frame or twin size box spring. It operates from a flat or elevated position. The mattress consists of 20, 8" deep air bladders are easily removed and replaced. 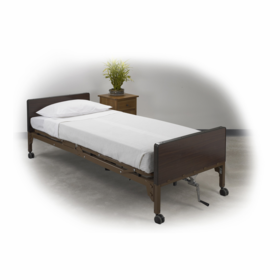 The Pillow function maintains the 3 air cells at the head of the bed in static mode for patient comfort. The low air loss feature uses 6 dedicated cells to circulate airflow in the trunk and pelvis area of the mattress. This prevents heat and moisture buildup keeping the patient cool and dry. The CPR valve allows for rapid deflation. 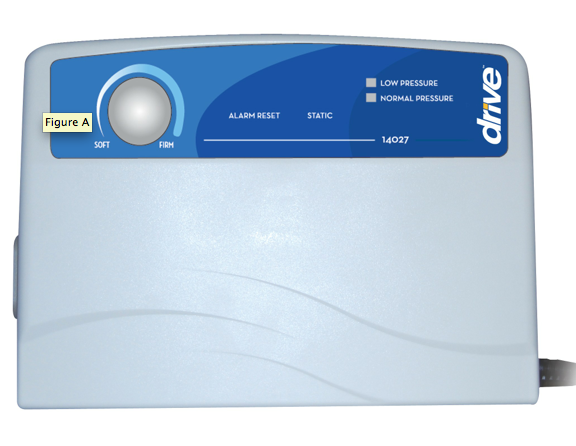 Designed for pressure relief, bedsore prevention and heals up to a stage 3 bedsore.